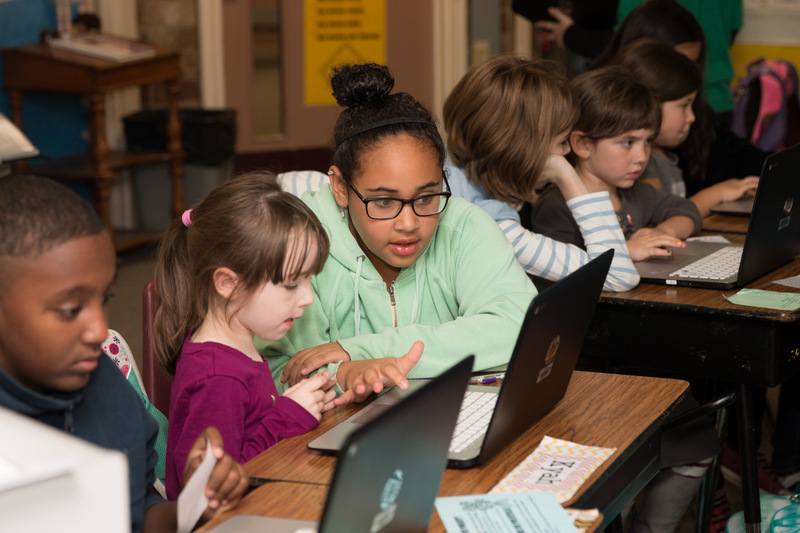 Lake Forest Park Elementary students participate in Hour of Code. The Office of Superintendent of Public Instruction (OSPI) recently announced that Shoreline Public Schools was selected to receive a $55,438 grant to support K-12 computer science education across the district. Shoreline is one of 26 districts selected as part of a competitive grant process for a share of $1 million in grant funding provided by the Washington State Legislature to improve access to computer science programs, particularly for groups of students who have historically been underrepresented in computer science programs and careers. Shoreline will use the funds to support developing an equitable computer science pathway to increase student access to computer science instruction and programs. The project will align with and quickly expand the computer science education being provided at the K-6 grade levels. An additional 75 elementary teachers will be provided with training in computer coding through Code.org and another 15 teachers participating in advanced level computer science training. It will also allow the district to expand their Technology Learning Cohort, which provides comprehensive technology and computer science training to cohorts of 3-6 grade teachers throughout the year. The grant will support the development of a computer science leadership team at each middle school. A team of eight teachers at each middle school will be provided additional training, curriculum, software and hardware to support all students having access to computer science. “This will allow us to build upon the great work that has been occurring around computer science education in Shoreline Schools,” said Dan Gallagher, director of career and technical education. The grant will help expand the current number Shoreline students currently served with computer science education from 1,615 to 3,690, with a focus on equitable access and support for all students. “It’s critical that we have a central focus on equitable access in the development of our computer science pathway, not just an afterthought,” added Gallagher. Hoping for more K-2 access to technology.